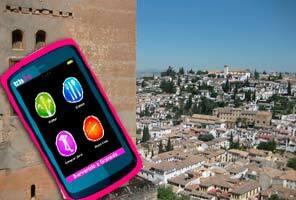 Book your Alhambra and Generalife Tickets and explore Granada with the handy GPS Tourist Navigator. 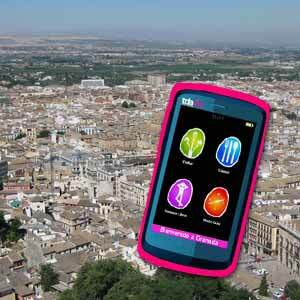 Choose the Audioguide Tourist Navigator with your tickets Alhambra and organize your day in Granada in your own way! Don’t wait for the queues, skip the line and enjoyr with our tickets Alhambra! A walk around the Alhambra, declared a World Heritage by UNESCO, is a required activity for every visitor of the city of Granada. Furthermore, it’s a work of art that calls out to us, maybe by its attractive and elaborate rooms, by its monumental and historic position or by the special charm of its exquisitely detailed Islamic art and architecture. Visit with your ticket the Generalife Gardens, the Nasrid Palaces and the Alcazaba fortress and enjoy the audio explanations of our guide integrated in the Audioguide Tourist Navigator. Cultural varieties such as monuments, museums, exhibitions, nature... all you wish to discover you will find in just one handy navigator. 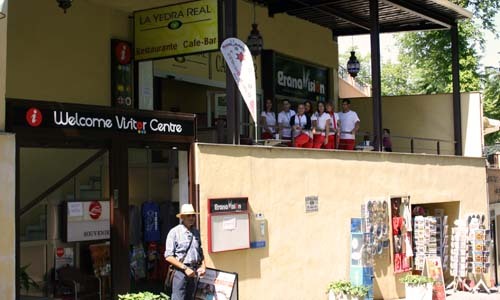 Restaurants and other touristic services will round up your visit to Granada. The Navigator includes a GPS guided system. You would use it to create the fastest route from your location to the place you want to visit, or maybe to learn about the monuments you’ll find around yourself. In addition it allows pedestrian or car modes to trace the more comfortable route. You can watch every location, everyplace with several formats. For example, audio for monuments (including interiors), text to schedules, prices or maybe pictures to see the place before you visit it. You must pick up your Ticket and your Audioguide Tourist Navigator GPS the same day of your Alhambra visit, between 8.30am to 10am. 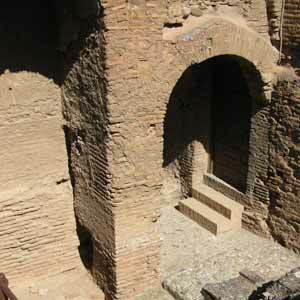 at our "Welcome Visitor Centre" in the Alhambra, located just 100 meters from the Parking Number 1. The time of entry to the Nasrid Palaces will be in your ticket. Our Reception Centre is open from 8:30am, so we recommend you go early in the morning, so you can find out information about tourism offers in the city, enjoy our reading spot and free Wi-Fi area or have breakfast in the cafe while the children have fun in the playground. Our greatest wish is that your day in Granada starts in the best way possible.